Christina's Kinder Blossoms! Thank you so much, Christina! 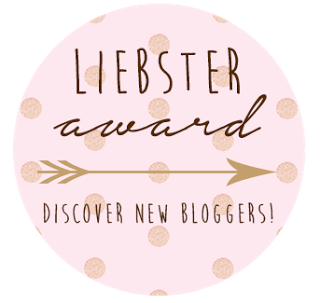 This award is for bloggers who have less than 200 followers but have great content and potential. You can learn more about me by reading on! I began blogging in February. I taught kindergarten for 16 years in a private school. I had always dreamed of teaching in a public school. My dream finally came true but it was much harder than I expected. Private and public schools are so different. I work with some amazing colleagues who are truly remarkable at what they do. In many ways, it left me feeling substandard. I started a blog as a way for me to reflect on what I do in my classroom. To be brutally honest- I wanted to prove to myself that I could do it, that I earned this, and that I do have something of value to contribute. I blogged to share my thoughts, feelings and reflections as I worked myself through feeling unsure, insecure and frankly- scared to death. Looking back at those older posts, I can't believe how far I've come. What a blessed journey this has been! Collaboration. I love, love, love what I do. Teaching for me is as much a hobby as it is my profession. I love learning more about myself and from others. In many posts I share the work of other teachers,products they have made in action in my classroom, and ideas and strategies I have learned from others. We are so fortunate to be in a field where people just naturally collaborate. I have learned more from other teachers that I ever did in college. Is there something you learned late in your blog journey you wished you knew before? I wish I knew how to design my own blog that included the features I needed. I have added a lot of things along the way. It would be great to learn how it all works so I could do it myself someday. I really love to read. I wish I had more time to do it. I have 3 boys 11, 9, and 8, a dog, 2 cats, work full time and well...we all do. Who has the time? I try to make time for it though because I love how reading takes you to other places. That's a good question. I'm not really sure. Maybe 2 hours. I love learning new strategies for teaching something. I love sharing what has worked for me and learning what works from others. Lately I am blogging a lot about using a math workshop model. Last year, when a teacher on my grade level team mentioned that she wanted to try I remember feeling panic. Oh Lordy! I had all I could do to keep up with the math curriculum. How in the world was I going to tweek it to turn it into a workshop model. I thought "there's NO WAY, I'm doing that! Ain't nobody got time for that!" Now a year later, I can't believe I'm doing it and....that I love it! It's really just an expression of what I'm doing everyday. Sharing what I do and sharing what I'm learning along the way. Which post that you've written are you most proud of? My post called "Reflections". It's a very honest reflection on my teaching journey. Actually, it was quite therapeutic to write. I still feel very hurt by how my former employer treated me when I left the private school and went to public. Perhaps, I always will be. but have postponing it for a while now? My district is shifting towards a balanced literacy approach. I'm looking forward to blogging about that journey and how it's going as I "learn the ropes." I love the collaboration and the friends I have made along the way. I love being able to learn more about myself and from others. I love being able to express myself creatively. you be most likely to try yourself? I am definitely going to try the number bonds that Cristina has on her site. I have never taught addition this way but I think it's an excellent way of doing so. I love trying new technique! You are so sweet! Thank you for the nomination! As soon as I identify my 11 I will publish my post! Thank you for nominating me, Julie! I need to find my 11 too!! !